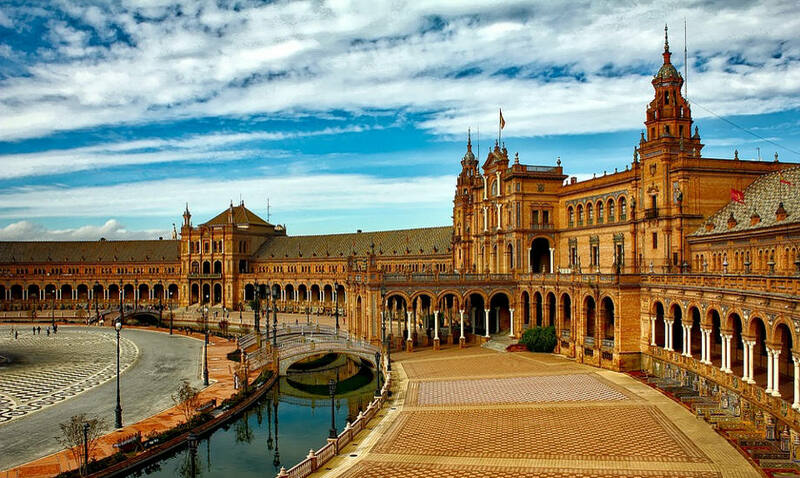 Seville is the capital of the autonomous region of Andalucía as well as the province with the same name. With around 700,000 inhabitants, it is the fourth biggest city in Spain. Seville Old town covers around 4 square miles; it is the largest old town in Spain and among the top three largest in Europe. As one of Spain’s major cities, it is easily accessible from all parts of Spain by car, bus and train (including Spain’s AVE high speed rail service). Although situated 80km from the Atlantic coast, Seville has a harbour on the Guadalquivir River. Seville (San Pablo Airport) Airport is located on the outskirts of the city, handling approximately 4 million passengers per year along with 5,000 tonnes of cargo – a much smaller operation compared to Malaga Airport. Seville University was founded in 1505 and is the third largest in Spain, having around 50,000 students on its register. 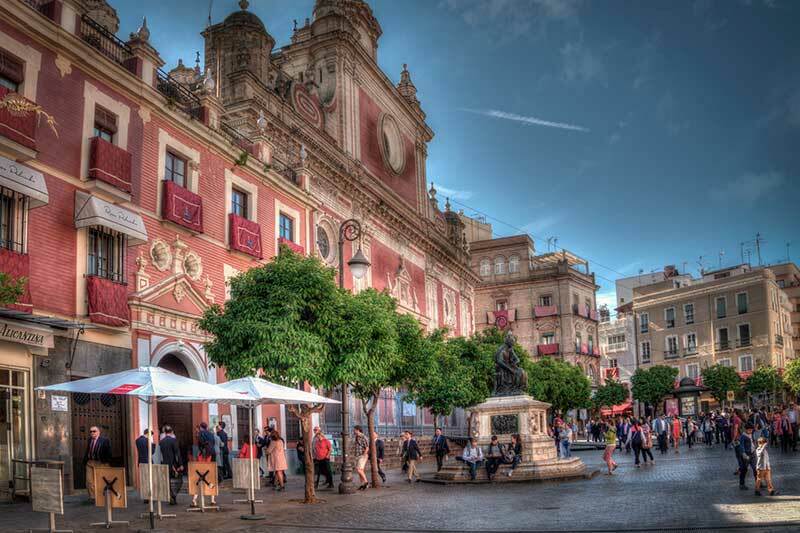 Seville epitomises the classic picture of Spain in the eyes of visitors from abroad. Spanish traditions, architecture and history spanning more than 3000 years, the ferias, flamenco, tapas, bull fighting and more. The city offers its visitors an incredible amount of variety. You can find all of the above and more in Seville; it’s a way of life for the locals and a great opportunity for curious onlookers to participate in the festivities including the Feria de Abril (Seville Fair) which runs for 2 weeks after Easter Sunday. Seville in the summer can be extremely hot with temperatures typically reaching 40C or above. In terms of weather, the most pleasant times to visit the city is during spring or autumn. April, May and June as well as September, October, November and December are good months to visit.